I used a circle template on my 1/72 scale Gladiator wheels. 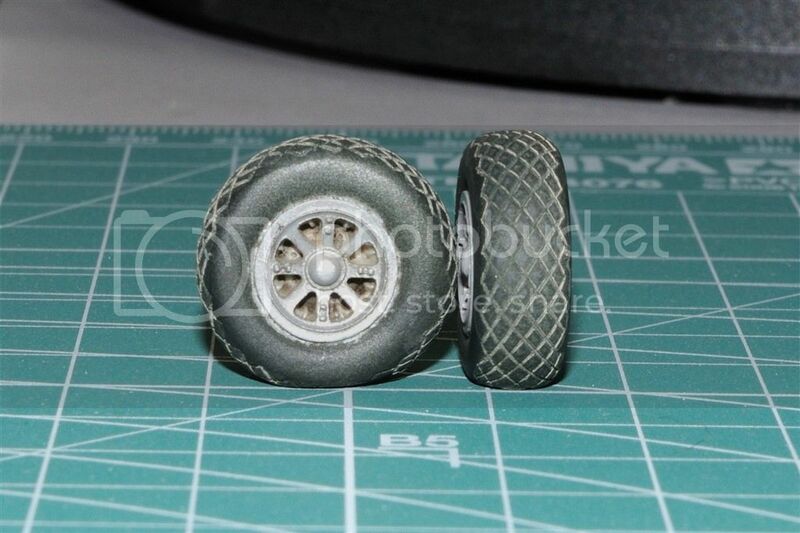 My approach was to paint the tires first, then mask them using the circle template, then spray the hubs. I got lucky that there was a small circle that pretty much fit. I don't have a way to cut tiny circles to make a mask, my circle cutter doesn't go that small. Does anyone have an easier way to do this? 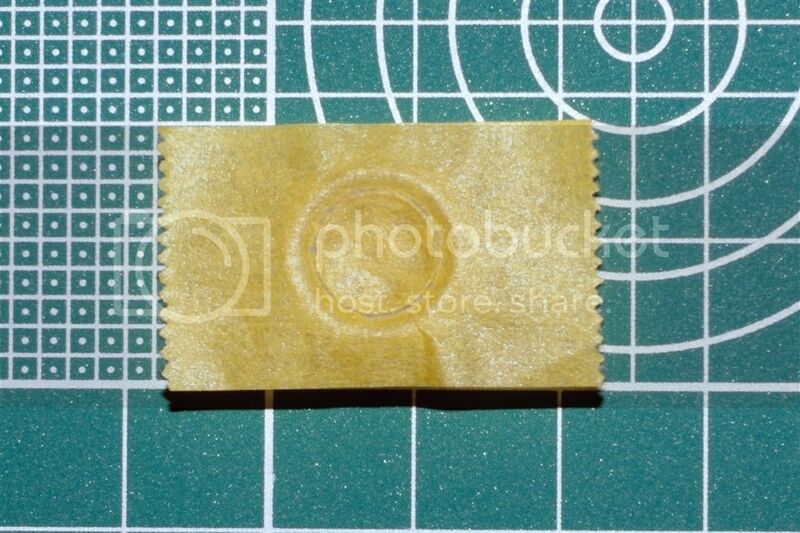 Is there a tool that will allow me to cut smaller circles of masking tape? One of those punches for punching holes in leather belts and such like. 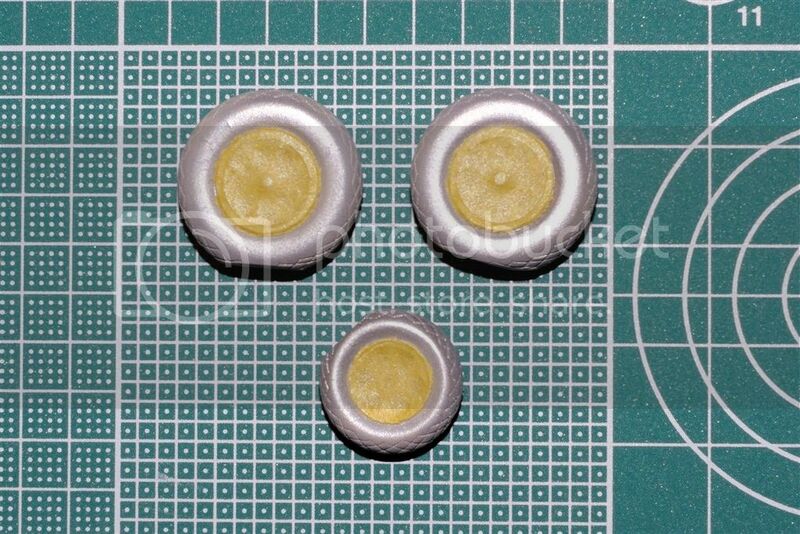 Silly putty or blu tack over the hub. Although I rarely feel it necessary to not just brush the tires. That's what I use, make sure you have a piece of hard wood as a backer. Put a piece of masking tape on the wheel and burnish it into the groove between the tire and wheel with a dental probe or pin. Eventually you'll wear through the tape at the border between the wheel and tire. Then simply pull up either the outside or inside part and paint. Replace the bit you pulled up (parking it on waxed paper is a good way to keep it sticky) once the paint is dry and paint the bit that was previously masked. That sounds like a great tip!!. Don't need to worry about cutting a circle for that!! Thanks so much! Good tip! I'll try to find one. Can you adjust the size of the hole it makes? Marc you buy a set with different diameters ,they are not adjustable. Do a web search but make sure the set is made of good quality steel, cheap ones are made from mild steel and are not durable. Most of the time I use the method that Jessica suggested. I prime then paint the wheels. Then I mask with Tamiya tape as it's generally thinner then most other masking tapes, and once detacked, won't pull paint off when you remove it. Then I burnish it down with a toothpick. A few more passes with the toothpick works it way right through the tape. Then I airbrush the tires Nato Black, and remove the tape. and apply a few washes to the treads. Thanks Joel that looks great. Now when you say burnish it down, do you mean to rub the point of the toothpic around the rim until it wears through? Thanks I am on the lookout. I gave that a go, but my edges don't look smooth like yours, mine are kinda fuzzy and un-even.